Integrity: adherence to moral and ethical principles; soundness of moral character; honesty (thank you dictionary.com). Having integrity as a person is a wonderful ideal. Ask people what character traits they value and most will respond with integrity as part of their list (maybe they–or you–have it up on your vision board or written down in a journal). When it comes to relationships, it seems like integrity has taken a hit. Now, I’m not just talking about people cheating and having affairs. That’s probably what most people think of when they think of a lack of integrity in relationships. That’s a large breach of integrity. No, I’m talking about the little things, too. Like, when you say something negative about your partner to someone else–maybe even when you’re flirting with someone else. Or, you snap at your partner when they are trying to get your attention. Or, maybe it’s those times when you’re dealing with hurt, disappointment, or impatience, and you react instead of taking a second to align and be congruent with your loving self. When you’re in a relationship with someone, your needs center around things like love, significance, commitment, honesty, and trust. How do you show these to your partner? Remember: It’s not always the “big” things that break integrity, it can be a series of small, continuous things as well. How do you show up in your relationship? How do you want to show up in your relationship? Imagine how much of a difference it would make if everyday you began your day reflecting on how you want to show up to your partner (and family, friends, job, etc.). What if you made an intention of showing up in your relationship with love, patience, intention, and attention? You’d have more clarity on how to act–or not to act. Ask yourself: What is important to me? What are my values? What do I want my legacy to be? How do I want to be in the world? When you are in a relationship, your integrity is not just defined by your own personal character, but in the connection you have with your significant other. How will you honor your partnership? What kinds of experiences do you want to have with them? How can you let them know on a continuous basis that they are loved, respected, and appreciated? How will you bring the best of you into your relationship? And what do you have to be like–to believe, say, act–to be congruent with integrity? How does integrity show up in relationships? Through the practice of honesty–with yourself and with your loved one, through respect, and through commitment. Let me just end this with this: No one is perfect. Every “mistake” is just a learning opportunity in disguise. There might be times when you break from integrity–either in your past, present, or in the future. Self-knowledge can help you learn not to react to the things around you but come from a place of consciousness and awareness. 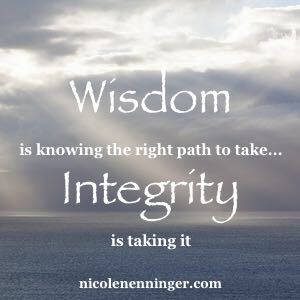 Being congruent with your vision of integrity means being alignment with your character, your values (read my post on values if you’d like to learn more about this topic), and your authentic self. When you live life with integrity, you enhance the lives of those around you. You bring the best of you out each day–every day–as you remain true to what you stand for. You become a role model for others in how to live by their truth and integrity, as you also inspire your partner and your kids (if you have them) to be their best as well. My passion is to enrich people’s lives by helping them create extraordinary relationships. 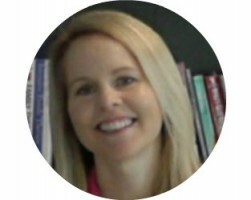 I am a certified life coach, have a Master’s degree in psychology, and am a Marriage and Family Therapy Candidate. I am the author of Transforming Divorce, the Transforming Divorce Workbook, and co-author (with my husband Don Nenninger) of The Secrets of Loving Relationships, and The Art and Science of Parenting: How to Act When Your Kid’s Acting Out.